It seems like it’s been a journey of discovering best practices since we started receiving nominations last fall for our second annual Innovatio Awards — an in-house program designed to highlight the innovative work of legal departments and their legal service providers in Canada. Over the last few months, I’ve had the privilege of meeting in-house lawyers from many different sectors and sizes, and learning about how they want to evolve the way they are delivering services to their internal customers. Innovatio’s goal in its first year was to recognize that kind of leadership and other interesting things in-house counsel were doing to address the time and money crunch they find themselves up against. We also wanted to show how legal departments were responding to business units. 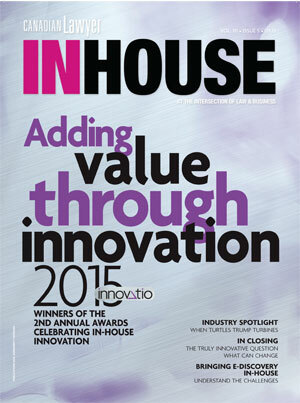 Please read the stories of innovation InHouse discovered. Perhaps next year it will be your department the Innovatio Awards will be recognizing. Fernando Garcia, general counsel, Nissan Canada - Lynn Korbak, general counsel and corporate secretary, Morneau Shepell - Julia Shin Doi, general counsel and secretary of Board of Governors, Ryerson University - Dorothy Quann, vice president and general counsel, Xerox Canada - Lorne O'Reilly, senior counsel, Dow Chemical Canada ULC - Simon Fish, executive vice president and general counsel, BMO - Dean Scaletta, director, information and litigation, Manitoba Public Insurance - Robert Piasentin, general counsel, corporate secretary & privacy officer, Sierra Systems - Antoinette Bozac, governor, Concordia University - George McClean, global chief ethics and compliance officer, W.W. Grainger Inc., acting general counsel, Acklands Grainger Inc. Bringing a large group of litigators together to work more efficiently to a common goal of serving the business better was the focus of a major initiative at BMO Financial Group. 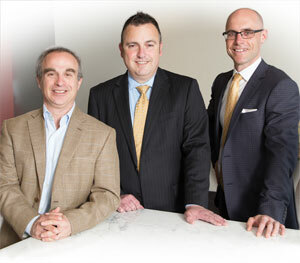 The Litigation Practice Management Group is a subgroup of BMO’s legal, corporate, and compliance group. Established in 2013, the LPMG is responsible for adopting and implementing best practices and processes for litigation risk management across the organization. “While we’ve had some good successes informally co-ordinating our practices, in 2013 we saw an opportunity to unite all the litigators and the e-discovery specialists across the enterprise in a formal practice management group, really leveraging the diverse views of our litigators from across our global footprint in Toronto, Chicago, Montreal, and London, to think creatively about how to do things better, more efficiently, and consistently in our litigation practice,” says Pascale Elharrar, associate general counsel and managing director, litigation, BMO Financial Group and chair, litigation practice management group. • Enterprise employment AFAs in Canada and the United States that have resulted in cost savings and greater predictability. • Broker/dealer litigation AFAs in Canada and the U.S.
• Small claims litigation AFAs across several lines of business. • Employee obligations AFAs for incoming and outgoing BMO employees to use for advice in reviewing employment contracts. The team also created an internal customer-focused tracking feature to capture customer experiences in all litigation-related matters to identify patterns, so that LPMG can advise on how to improve on issues that may be flagged as creating potential liability. The team also implemented clarified accountability between BMO’s employee relations and the legal group for better legal risk management of employment law matters enterprise-wide. • Created protocol for investigations conducted by BMO to effectively manage legal and regulatory risk. • Developed key Guidance for Setting and Communicating Provisions (Reserves). • Introduced metrics for measuring litigation prevention and customer experience. • Delivered litigation-related training to BMO’s lines of business and corporate support areas on fiduciary risk, privilege protection, and legal risk management in reporting. • Developed best practices for privilege protection. Export Development Canada’s legal department is a hive of collaboration, with lawyers working closely together in teams in an open concept space that encourages exchange of ideas and innovation. EDC provides financing and insurance products in support of Canadian exports and Canadian investments abroad. The EDC Legal Services Group that supports EDC is a group of lawyers, clerks, and administrators, directly engaged in transactions involving parties all over the world as well as compliance matters. The transactions the team works on include cross-border loans (secured and unsecured), accounts receivable insurance, structured project financing transactions, political risk insurance policies, and more. The EDC legal practice involves corporate law, finance, insurance and bonding, securities law, Crown law, and legal compliance. Given the variety of work and high volume of transactions, EDC legal tries to find efficiencies for its customers while providing quality legal guidance. The department implemented its “Efficiency Initiative” for corporate clients requiring a variety of financing and insurance instruments, by creating tracking tools, an on-line international legal information hub, and loan documentation templates with a negotiation guide. The initiative increased productivity and reduced outside legal fees for its customers. The Innovatio judging panel was particularly impressed with how the EDC legal team created sustainable tools that interact with end customers, demonstrating effectiveness when a Crown corporation “thinks and acts like a business” to facilitate deal making. The team encourages “quick questions” from its clients, wherever they are around the world. Each of its client groups, regional offices, and foreign representatives has an assigned relationship lawyer who can be contacted directly for guidance. If a matter requires substantive work, the client submits an electronic work request for same-day allocation based on capacity/expertise, and each closed request generates a quick survey to measure our service delivery. The team reviewed its foreign counsel opinions and added legal market information to EDC’s Market Info Hub online. It provides instant access to legal/regulatory information in a user-friendly format for lending and insurance transactions, and a user can find out if a country is subject to sanctions laws, whether EDC can lend or provide insurance products in that jurisdiction, and whether there are withholding taxes, etc. “The feedback from the business team has been tremendous in terms of being able to give timely information to the customer,” says Miguel Simard, assistant general counsel. Various products including Trade Protect, a credit insurance option available exclusively online, supported by its e-Law practice group and insurance practice group. Legal departments often have a reputation for being the naysayers in an organization, and that can translate into business partners being hesitant to engage them early in a conversation about a new project. As part of a “people and culture” initiative launched at Interac Association last year, the legal department received feedback on its perception in the organization. “While our work received high marks across the board, there was a feeling among some that we sometimes take a long time to turn things around; we get bogged down in the details and don’t look at the big picture,” says Olga Ziman Sabbagh, senior legal counsel with Interac. There was also a sentiment that legal and compliance operated as “police officers” advising business units about what they can and can’t do. The scope of the project undertaken at Interac was two-fold: to educate the various business departments that legal compliance and regulatory supports about the value legal brings, and to improve and measure the legal division’s productivity. The department leadership tabled a “mind map” of strategies for rebranding LCR, and as a department. It also formulated a visual to convey its new image. “Overall, we wanted to highlight our value — to the organization as a whole and for individual projects — and to change the mental picture to that of ‘air traffic controller’ — one whose job is essential and beneficial for the smooth running of operations across the organization,” says Ziman Sabbagh. To address head-on the impression the business units had of the legal and compliance team, it held an open house to provide the opportunity to get to know legal and understand what it does. In preparation, the team revamped its presence on the internal web site, posting informational pieces authored by various members of the department. The materials included answers to frequently asked questions and explanations for common “what if” scenarios (e.g. What if I haven’t signed a confidentiality agreement?). The team also unveiled a number of concrete promises, including commitments to assign and acknowledge all requests received within one business day; discuss and agree with the business unit leads on timelines at the start of the process; and draft and/or review certain agreements within two business days. 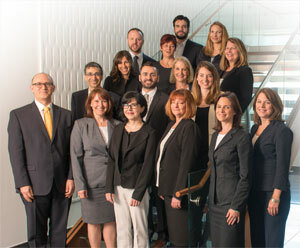 The team also initiated a new process for the allocation of work among the LCR staff (which includes lawyers, a law clerk, and an articling student, as well as compliance personnel and regulations writers), with central repositories being established for incoming requests and formalized tracking to ensure timely completion. As a result, external legal costs were reduced by 10 per cent due to the relocation of work to the team. “We’ve also established the concrete measures on how to allocate the work and a common depository for all new work that comes in,” says Ziman Sabbagh. Since the open house, relationships with the business units have improved. In the fall of 2013, Bell Mobility engaged with McCarthy Tétrault LLP on a large litigation matter that was proceeding to commercial court. A trial was scheduled to be heard six months after the proceedings were commenced, with evidence in chief to be submitted by affidavit. The litigation matter involved franchise issues and a large amount of information. Noel Peacock, senior legal counsel, litigation at BCE Inc. in Ontario, knew it had the potential to be a massive amount of complex work. “We decided we needed to retain external counsel that we had good experience with and who are experts in the subject matter, and move the matter forward as quickly as possible,” says Peacock. Thomas Sutton, McCarthy Tétrault LLP. The matter involved a complex factual matrix, and McCarthy’s litigation team needed to put together seven affidavits from a collection of more than 15,000 documents. Ultimately, only a few hundred were used, but McCarthy’s team needed to review and synthesize a vast amount of information in a short time frame while simultaneously integrating that information into a compelling set of affidavits. “We needed lawyers who were very experienced to make the right judgment calls to gather the evidence and organize it into these interacting affidavits and be aware of what the issues were,” says Peacock. To address Bell’s need for a cost-effective solution and given the demanding nature of this mandate, McCarthy’s turned to alternative law firm Cognition LLP when staffing the team. McCarthy’s litigation team wanted a lawyer who was experienced at drafting compelling and persuasive affidavits, but who would be billed out to Bell at approximately the rate of a first-year associate. The firm also wanted a lawyer with a sufficient level of expertise to work seamlessly with the team throughout the process of preparing the affidavits. Ellen Swan, a Cognition lawyer with commercial litigation experience, became an extension of the McCarthy Tétrault team in the equivalent role of a senior associate. Swan participated on update calls with the firm’s internal team as well as externally with Bell. She worked onsite at the Toronto office of McCarthy Tétrault as well as remotely. She also assisted with preparation for discoveries and cross-examinations. This file required a large team working under tremendous time pressures and large volume of work. The motion materials consisted of affidavits from eight witnesses and ran to almost 900 pages. “The way we approached things was very much a part of the challenge we face all the time in terms of coming up with cost-effective ways of dealing with litigation — especially large litigation that can get out of control,” says Peacock. The parties involved agreed to a Consent Dismissal Order. “What we did was create a process for determining the litigation that the other side agreed to and was approved by the commercial list and satisfied our challenges in keeping the costs down,” says Peacock. Through the use of Cognition, McCarthy Tétrault was able to lower its fixed weighted hourly rate and Swan from Cognition was billed at the rate of a junior associate. “Ellen was very good at spotting issues in that morass of evidence that would be relevant to what the litigators who would be standing up in court would have to argue later on,” says Peacock. What do you do when you receive a request for thousands of pages of information spanning five years of patient survey documents and you have limited resources in-house? Wendy Lawrence, who was legal counsel at Mount Sinai Hospital at the time the request came through, turned to Cognition LLP to assist with the request the hospital received under the Freedom of Information and Protection of Privacy Act. “We wanted to be transparent and release the records, but [we] wanted to do so in a manner that respected patient privacy,” says Lawrence, who is now counsel at another Toronto hospital. Lawrence says because it was a “high-volume, out-of-the-ordinary request,” she decided to outsource the project, primarily because of the size of the request and the fact the records had to be reviewed, redacted for patient privacy, and prepared for disclosure within the legislated timelines. The hospital sector was brought under FIPPA in 2012. Compliance with FIPPA has been challenging for hospitals, as the legislation can be high-volume and labour-intensive. FIPPA also requires legal expertise, as each line and page of a record must be reviewed by the hospital for applicable legal exemptions that protect important interests such as patient privacy, solicitor-client privilege, or proprietary rights prior to release to a requester. Mount Sinai partnered with Cognition to implement a legal project management approach to the request. It proposed an approach to the work involving a first-level review by a team of junior lawyers, and then a legal audit of the work completed by more senior lawyers, accompanied by a final review by a project management lawyer, who also provided oversight over the work and acted as the primary contact with Mount Sinai. Lawrence worked with Jackie Dinsmore, Jason Moyse, and Morgan Borins of Cognition. Cognition proposed a legal project management team approach, usually reserved for corporate due diligence projects. Lawrence says outsourcing the project made sense instead of having one internal employee and a handful of secondary personnel pulled in to prepare the records for disclosure. Cognition provided computer software, scanners, and redaction tools to respond to the request and saved the hospital the costs of obtaining these tools on a one-off basis for this particular request. The firm’s approach of assigning a legal project team with multiple levels of review, audit, and legal oversight provided Mount Sinai with the assurance that its needs could be meet. The legal project team ensured the work was done in a thorough manner that assured the hospital it was meeting its legislative obligations. Lawrence says outsourcing the work was cost effective, as it was given more attention than an internal staff member could provide under the legislated timelines. There were also savings — outsourcing ended up being less than 10 per cent of the cost of a full-time equivalent lawyer. There was no lost time due to re-assigning secondary staff to assist, and no need to obtain equipment to assist with the preparation and redaction of records. “It was really cost effective. Instead of using the traditional model of having a senior partner and an associate spend several hours doing one review of the records, we had various levels of lawyers — junior and senior — and in a project team that proved to be [a] more cost-effective and more in-depth review,” says Lawrence. Lawrence says there were also improved deliverables, as the hospital did not have to ask for a time extension or delay response. Mount Sinai was also able to receive a more rigorous review of the records (e.g. team of lawyers with multiple levels of review) that ensured patient privacy. Compliance is one of those things more easily achieved on a broad scale when you make it easier for people to do. Working with its information technology group, the 3M Canada legal affairs team developed an online automated system for the completion of what are referred to as integrity assessments. The IA is essentially a compliance review of any third party 3M proposes to engage to ensure its business partners display the same commitment to ethics and compliance as 3M. The process is an integral part of the company’s corporate compliance program, as it allows 3M to assess the suitability of third parties and enables it to comply with obligations under anti-corruption statutes, such as the Foreign Corrupt Practices Act. An IA must be completed by business clients prior to any contract being drafted and executed. Prior to the new system, there were parts of the process that were completed electronically and parts completed in hard copy. The new system incorporates all elements in one place and enhances the speed of completion as well as the ease of use for clients. The new IA system is available on mobile devices such as smartphones and iPads. This allows marketers and sales reps to complete the IA anywhere. It also allows those required to approve the IA to do so more quickly. The end result is increased compliance and a quicker pace of business. 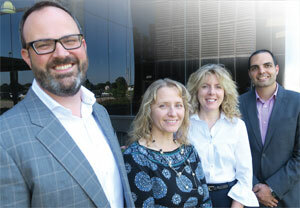 “The new IA system has improved compliance levels and saved the legal team, as well as the clients we serve, a considerable amount of time that would have otherwise been spent working through the various forms and processes that the new system replaced,” says Ali Haidar legal counsel & chief privacy officer with 3M Canada. 3M is hopeful the system will be rolled out by the other 75 subsidiaries of 3M across the globe. Over the years, the Toronto Dominion Bank’s U.S. competitors, both financial institutions and other sector players in the payments and mobile apps space, have aggressively developed their financial services patent portfolios. 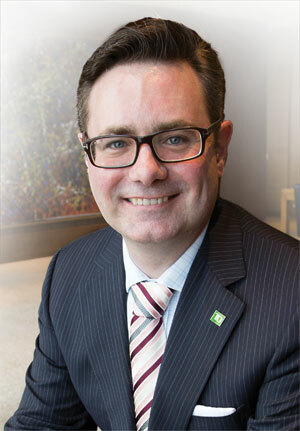 TD did not have a patent portfolio befitting its North American footprint when Josh Death, associate vice president, legal, TD Bank, identified the gap and championed a strategic focus on patentable innovation to the senior executive leadership at the bank. The lack of a patent portfolio was considered an area of risk for the business. “When we’re looking at what our peers are doing on the street, we recognized it’s important for us to have equivalent competitive assets in the different silos we’re competing in in the marketplace,” says Death. He was then tasked with developing a patentable innovation methodology and tool kit. He developed that methodology, validated it with international innovation experts, and established a centre of excellence to implement the methodology. His methodology included problem identification, application of innovation tools, and a process to capture and then file patent applications. “To the best of our knowledge, TD is the only FI in Canada to have such a centre of excellence, and is likely unique in North America for that function to reside within legal,” says Jane Langford, vice president legal with TD Bank, who nominated Death for the award. Langford says TD legal has developed a centre of excellence (the office of patentable innovation) and it is now the “go-to” resource across the enterprise for patentable innovation. Death says the lack of a patent portfolio was becoming a material risk and developing one has become standard procedure. Death was assisted in the project development and implementation by a multi-disciplinary team including Orin Del Vecchio, Jon Barnett, Paul Chan, and Jennifer Woods. “I had a sizeable team assembled to help deliver on this initiative, including patent lawyers, business people, and technologists. Without all of them, this wouldn’t have happened at all,” says Death. The team came up with what Death calls a bespoke solution pulled together based on the internal expertise of his team and external consultants. The model is now the standard for facilitating patentable innovation at TD in Canada, and it has been proposed for use in the U.S. as well. For the RBC General Counsel Group, diversity goes beyond basic definitions and respecting employment and regulatory requirements where the bank does business. Diversity is just part of the story — the bank’s framework has evolved to include fostering inclusion and leveraging diversity of thought. “We believe that inclusion and diversity of thought is better achieved when diversity efforts are integrated into an organization’s culture and practices, and not just through its programs and policies,” says Jane Chung, senior counsel with RBC. Under the leadership of former general counsel David Allgood, through its diversity and pro bono committees, as well as individual efforts, the GCG works toward attaining inclusion and diversity of thought through a number of ways. Members of the GCG who support these initiatives include David Aylward, Alison Burton, Jane Chung, Manju Jessa, Neil Kothari, Suzanne Michaud, Lucille D’Souza and several members of the GCG diversity committee. The GCG also participated in pro bono initiatives that serve people from disadvantaged communities, or who are without resources to address their legal challenges. 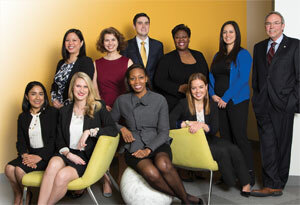 RBC lawyers in New York, Minneapolis, Atlanta, Toronto, and London volunteered a record 1,020 hours of pro bono time in the past year by assisting unrepresented litigants in civil matters, acting as designated representatives for unaccompanied minor children, assisting cancer patients with legal rights, and assisting foster parents with the adoption of older youths. The GCG has also actively engaged with law firms to foster professional development and advancement by hosting programs for lawyers with diverse backgrounds, including panel discussions reviewing the “dos and don’ts” for external counsel. Such initiatives were intended to provide diverse lawyers with opportunities on an equal footing with other members of the profession who may not otherwise have natural mentors or sponsorship. The GCG also updated its Aboriginal Articling Student Program in the past year with an enhanced series of rotations and broader participation to further the experience of its candidates. In addition, RBC lawyers have continued to mentor and supervise interns from the University of Toronto Internationally Trained Lawyers Program and the LLM Program for International Business Law at Osgoode Hall Law School. The GCG’s initiatives also include its annual Day of Pink, providing support to the group’s first Diversity Festival, hosting the Great GC Auction to raise money for the Canadian Institute for Diversity and Inclusion, adopting principles of gender-neutral drafting in agreements, and the need to focus on neglected segments of the population, including elder abuse. RBC believes diversity is a source of innovation and sustainable economic prosperity. Construction is an industry that has traditionally attracted a male workforce. Women either did not feel welcome or did not pursue careers in engineering and skilled trades. 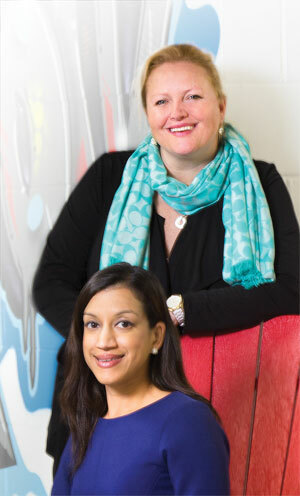 Aecon Group Inc.’s legal team is trying to take a lead role in the company’s mission to change that and foster a diverse and welcoming workplace. Some of Aecon’s diversity objectives in the past year include increasing the number of women and aboriginals in skilled trades, and increasing the number of women in management positions at the company. Currently, women represent 29 per cent of Aecon’s salaried workforce, and six per cent of that is from the hourly workforce. Many of these positions are at the assistant level. Only 16 per cent of Aecon employees at the manager level are women, while 38 per cent of its workforce below the manager level consists of women. However, the amount of women choosing construction for a career has increased over the last 20 years. While only five per cent of Aecon’s vice presidents are women, 20 per cent of Aecon’s executive committee is made up of women. 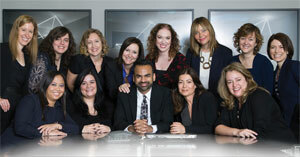 The legal team reflects the diversity goals of the company with seven women out of its 17 members, including 20 per cent of the lawyers, on the team. To achieve its diversity objectives, Aecon did research into the challenges of creating a diverse workforce in the construction industry, then executed a plan. Part of this strategy included the creation of a Women of Aecon Group for women employees to discuss the issues they face. Members of the legal team have organized and supported the Women of Aecon Group, which was created by Ariana Daile, project risk manager and a member of the legal team. Another initiative has been Aecon’s outreach program for Canadian First Nations. This includes the building of remote training facilities and creating education programs with the Operating Engineer’s Training Institute of Ontario. The program provides people from First Nations opportunities to establish careers in skilled trades. 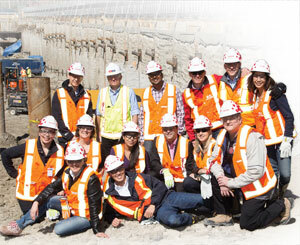 About 20 per cent of Aecon’s skilled trade workforce is a First Nations member. The legal team negotiated all of the contracts with the training institute and First Nations groups to construct the remote training facilities and set up the education and training programs, as well as establishing job opportunities post-graduation. Aecon is the only construction company to build remote training centres on First Nations lands in Ontario. “Once a project is done, we leave the people there with better training and ability to expand their careers even after we’ve left the community,” says Doyle. DHX Media is known for its great programing for kids, but, when it closed its deal to acquire Family Channel, Disney XD, Disney Junior (English-language channel), and Disney Junior (French-language channel), creating DHX Television, it sure wasn’t child’s play. The $170-million agreement with Bell Media was first announced Nov. 28, 2013 and received Canadian Radio-television and Telecommunications Commission approval July 24, 2014. It officially closed a week later. The Family Channel is the most-viewed children’s television channel in Canada, and its acquisition, among the other TV properties that were a part of this deal, enhanced all areas of DHX’s business and enhanced its platform for future growth. The complex acquisition involved obtaining CRTC approvals, Competition Act approval, intellectual property issues, corporate finance, and securities and tax matters. DHX is a creator, producer, marketer, and broadcaster of family entertainment, and it is recognized globally for brands such as Yo Gabba Gabba!, Caillou, Teletubbies, In the Night Garden, Inspector Gadget, Johnny Test, and the multi-award-winning Degrassi franchise. The company markets and distributes its library of more than 10,000 half-hours of entertainment programming worldwide, and licenses its owned properties through its dedicated consumer products business. The acquisition was the largest in the company’s history, followed closely by the high-profile 2012 acquisition of Cookie Jar Entertainment. The Cookie Jar deal made DHX the world’s largest independent owner of children’s programming. Mark Gosine, executive vice president, legal affairs, general counsel, and corporate secretary at DHX Media Ltd., led the deal, with support from in-house team members James Bishop, director, corporate and business affairs, and Carrie Dumont, senior vice president, business and legal affairs. Lawyers working on DHX’s acquisition of the Family Channel, among other TV channels from Bell Media, describe a deal that seamlessly came together. While many deals may reach a successful conclusion, not all transactions of this size, value, or complexity are ultimately described as seamless. The streamlined processes, now well established by the group, propelled efficiency at each stage. Gosine leveraged his in-house team of six, matching lawyers with the work that best fit their strengths. Gosine used his project management skills to facilitate timing and remove barriers. “Mark’s leadership saved DHX time, effort, and costs throughout the duration of the transaction, and resulted in a transformational and innovative shift for the company,” Dickson said in the nomination. The acquisition, which created DHX Television, was described as “transformational” for the company. The Family Channel boasts more than 5.7 million subscribers, a complement to DHX’s library of programming worldwide. After the deal closed DHX announced its revenues for the quarter totaled $29.7 million, an increase of 14 per cent over the same quarter in 2013. Harpreet K. Sidhu may be the youngest lawyer to become a general counsel. Just months after being called to the bar in Canada, she became Pethealth Inc.’s first general counsel, corporate secretary, and privacy officer at the age of 25. She has been in-house now for two years. 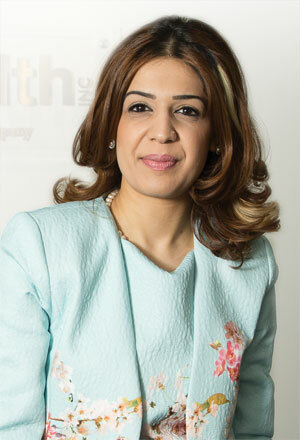 In early 2013, as a recent graduate of the University of Buckingham School of Law in England, Sidhu was working in a legal role at Pethealth when it was still a publicly traded company on the Toronto Stock Exchange. Within three months of her call to the bar, she was promoted to the role of corporate counsel and was in the job for about 18 months until November 2014 when Fairfax Financial Holdings acquired the company. After the acquisition, she was promoted to general counsel, corporate secretary, and privacy officer. Pethealth provides pet insurance services to the companion animal market and micro-chipping for lost pet recovery services. “Harpreet embraced the position and created the legal department,” says Callie Bjurstrom, partner with Pillsbury Winthrop Shaw Pittman LLP in San Diego, Calif., who was one of three people who nominated her for the award of Tomorrow’s Leader in the small-department category. Sidhu is responsible for general contracts, employment matters, intellectual property management, litigation, corporate governance, and compliance. She oversees legal operations in Canada, the United States, and the United Kingdom. Since the acquisition, she has led the company in another five acquisitions and says there are “several more” in the pipeline. Sidhu credits her articling principal, Yuvraj Chhina of Fortis Law Practise, for guiding her along the way. Chhina also nominated her for the Innovatio award. “Since taking over as corporate counsel for Pethealth, she has streamlined the legal process within the corporation, which was hereto an outside law firm project,” says Chhina. “Harpreet has shown through her perseverance and persistence that she is self-driven and motivated to overcome any challenge that presents itself,” he says. In her spare time, Sidhu works with Law Help Ontario operated by Pro Bono Law Ontario, providing pro bono legal assistance to low-income Ontarians. She is also active providing legal assistance and as an advocate for women in the South Asian Community who suffer from depression and domestic divorce challenges. She is the secretary of the Section Executive of the Canadian Corporate Counsel Association, Ontario Chapter for the 2014/2015 term and serves as a member on the City of Brampton’s audit committee. “Harpreet is highly engaged in her community and is dedicated to helping women and low-income families. Harpreet also strongly advocates and assists women in the South Asian Community suffering from severe depression and domestic divorce-related legal issues. She has offered pro bono legal services countless times,” says Curtis Cusinato, partner with Stikeman Elliott LLP, who also nominated Sidhu for the Tomorrow’s Leader award. 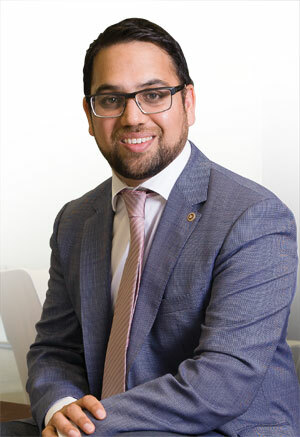 He’s been in-house for less than three years, but Imdad Ali has already taken on what would be considered massive change management projects at BMO Financial Group. Ali was nominated for the Tomorrow’s Leader award by Bindu Cudjoe, deputy general counsel and chief administrative officer at BMO. 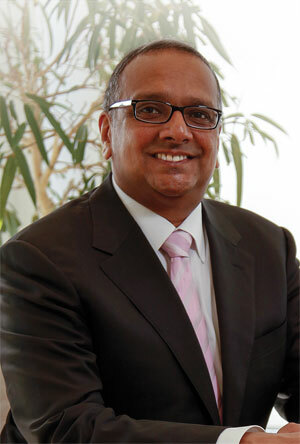 “Imdad brings a strong business focus to his legal practice in part from the years he spent negotiating complex procurement agreements for clients in the bank,” Cudjoe said in her nomination. “He also draws on tools and skills from a variety of areas including project management, negotiation, and management consulting. Ali joined the bank’s legal, corporate, and compliance group in 2012 and took on a strategic role in two initiatives focused on stronger risk management while streamlining for efficiencies through innovation. In two years, he helped take the bank from using more than 1,000 law firms across North America to less than 200. He led the end-to-end restructuring of the bank’s enterprise external counsel program and quarterbacked the co-ordination of internal stakeholders including legal, finance, strategic sourcing, and accounts payable. BMO was focused on finding efficiencies and law firm spend was one of them. “We sat back and said what’s the best way to do this? The main goal was to reduce spend, but we quickly realized there were also a lot of broken processes in the whole external counsel program as well,” says Ali who was called to the bar in the U.K. in 2008 and in Canada in 2014. The bank was wrestling with issues of lost and unpaid invoices, a lack of detail in the invoices received from law firms, and different processes in place across the bank, making it difficult to track spending. “We needed to consolidate it,” he says. “One of the things that drives the bank ultimately is that we want to make sure our customers are getting the best out of their experience. Even though we in legal don’t always work directly with customers, I think the benefit to them would be the preferred pricing we get from law firms when they’re doing business with us,” he says. Ali came from a background in strategic sourcing and was familiar with working through strategies that brought costs down. “With my legal background, it was a perfect fit for me for the type of work we would be dealing with,” he says. • The technology to support the process. • Rationalization of the firms from the more than 1,000 it was using. • A strong change management approach. The team approached the search for the right technology tool and rationalization of firms in parallel. “When I think back on it, it was ambitious,” recalls Ali. A comprehensive request for proposal process involved consideration of three different technology systems: an internal accounts payable system that allowed them to manage invoices more carefully; Serengeti from Thomson Reuters; and TyMetrix 360. BMO ultimately chose TyMetrix for a number of reasons, in part, he says, because of the experience other financial institutions in Canada had with the product. “It was also an end-to-end solution and not just for law firm billing, but it has an overall matter management system,” Ali says. In reviewing the more than 1,000 law firms BMO was using, Ali’s team began by engaging an external consultant to help and build a review model so there was clear buy-in from the department and business units. “It was not the decision of a bunch of lawyers saying, ‘We’re going to stop using these firms and only use these firms.’ It was based on objective criteria — based on their rates, their ability to commit to alternative fee arrangements, how they were planning to resource files, and commitment to innovating and changing,” he says. Ali also looked at legal project management and whether the firms were properly managing files and relationships. The first cut was done based on a consideration of spend. That reduced the number by half, and then they surveyed various customer groups about law firm use such as the capital markets group. “As we started to see the firm scoring, we started to realize there were firms that get what we’re trying to do and then there are firms a little behind the eight ball on some of this,” he says. BMO did go back to some of the firms to see if they wanted to respond differently to the survey on issues such as AFAs. Some declined saying they were not going to change their approach. Some did change to work with BMO. BMO also rolled out a retainer agreement that insisted on every law firm signing the same agreement regarding project management, commitment to innovation, diversity in their law firms and the way they were resourcing files. The law firm panel review is now a “living, breathing thing” and the bank constantly reviews it to make sure the firms are consistently providing value, says Ali. If the firms are not delivering based on the retainer, the bank looks to potentially remove or add firms as required. All the panel firms now run TyMetrix 360, and BMO can track the life cycle of a file at certain stages. As a result of all the changes, the bank has seen a dramatic increase in compliance with the program. “Everyone is now going through one process and the firms know they can’t bill us outside the process, and if they try to, the invoice is going to be rejected,” he says. Lawyers at the firms that do work for BMO have TyMetrix loaded into the system at the only rate they can charge against. The rates are reviewable every year. Ali says the bank is working toward 100-per-cent use of AFAs. “We are trying to hit that, but we know it’s not doable in all cases,” he says. When Ali took on the role of legal counsel and senior adviser on the technology & operations legal team, a significant change he introduced was to bring in a contracts liaison under his supervision. In less than a year, it diverted more than 30 per cent of lower-risk matters to be managed more efficiently without senior lawyer review, allowing senior legal resources to focus on more high-risk, complex, and strategic matters.